Uttarakhand, situated in northern India, is a tourist hub that attracts travellers from all over the world. Known as the Land of Gods, Uttrakhand is considered a paradise on earth for its out of the world scenic beauty. The state is bordered by Tibet on the north and Nepal on the east. The Indian state of Uttar Pradesh lies on the south border and Himachal Pradesh on the north-west border. Originally known as Uttaranchal, the state was renamed Uttrakhand in January 2007. The state has 13 districts, which are grouped into two major divisions, Kumaon and Garhwal, based on their historic divisions as the kingdoms of Kumaon and Garhwal. 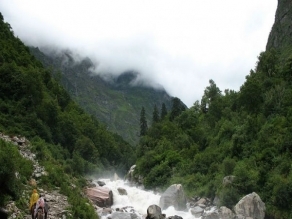 Uttarakhand experiences three major seasons, namely summers, winters and monsoons. The climate of the region is also dependent on geographical divisions which consist of hilly terrains which are predominant and the plains, which are far smaller. The best time to explore the destination is during the summer season as climatic conditions remain comfortable. Tourists can also plan to travel to the place during winters, although, certain areas become inaccessible during this time due to heavy snowfall. The official language of Uttarakhand is Hindi, but different dialects of the language are spoken in its diverse regions. Kumaoni and Garhwali are the main languages of the major population here. Besides this, the Pahari dialect is also popular in some areas. Under the broad category of Kumaoni, the popular sub-dialects include Johari, Danpuriya, Askoti, Sirali, Gangola, Khasparjia, Phaldakoti, Pachhai, Rauchaubhaisi, Majh Kumaiya, Soryali, Chaugarkhyali and Kumaiya. The Garhwali dialect, too, has numerous sub-categories including Jaunsari, Sailani and Marchi. The major dialects are influenced by Sanskrit, central Pahari and Sauraseni Prakit and these languages follow the Devanagari script. 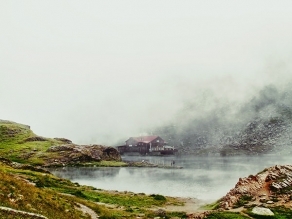 There is a never-ending list of tourist attractions waiting in the 13 scenic districts of Uttarakhand. The list is still increasing in length with the constant discovery of new and exotic destinations. From worship to sightseeing to trekking and rafting, each tourist hotspot offers a vast range of pilgrimage sites, beautiful sceneries and exciting activities to the travellers in the state. Known as the Lake district of Uttarakhand, Nainital is a popular tourist spot nestled at an elevation of 1938 m above sea level. This piece of heaven was discovered by the British in the year 1841 and turned into a holiday resort. The word "Naini" is derived from the temple of the Hindu goddess Naini, located on the banks of the lake. Nainital offers visitors Boating, yachting and Fishing opportunities. Various beautiful places around Nainital also attract a large number of tourists from around the globe. These places include Hanumangarhi, Khurpatal, Kilbury, Lariakanta and Land's End. Apart from these places, the Naini Peak, Snow View, the Nainital Ropeway, Bhimtal, Naukuchia Tal and Sat Tal are destinations near Nainital known for their beauty. The Queen of the Hills, Mussoorie, is a place worth visiting. Its lush green hills and the snow-capped ranges of the mighty Himalaya offer a panoramic vista of the Doon Valley located in the southern direction. The Yamuna Bridge, Nag Tibba, Dhanolti and Surkanda Devi are other places of interest around Mussoorie. Kausani offers breathtaking views of the Katyuri Valley, the river Gomti and the snowy peaks of Panchachuli, Nanda Kot, Nanda Devi, Trishul, Nanda Ghunti, Chaukhamba and Kedarnath. Anasakti Ashram, Pant Museum and Lakshmi Ashram are also popular amongst tourists. Known for their natural beauty and home to a varied wildlife are places like Jim Corbett National Park, Rajaji National Park, Kedarnath Sanctuary, Govind Wildlife Sanctuary, Binsar Wildlife Sanctuary, Assan Barrage Bird Sanctuary, Nanda Devi National Park and Askot Wildlife Sanctuary. 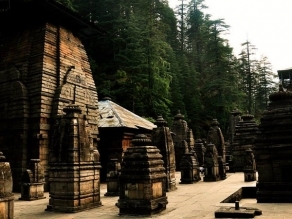 Numerous pilgrims come to Uttarakhand to offer obeisance to the gods at places like Adi Kailash, Almora, Augustmuni, Badrinath, Devprayag, Dwarahat, Gangnani, Gangolihat, Gangotri and Gaurikund. Other famous destinations include Haridwar, Kedarnath, Rudranath, Kalpeshwar and Jageshwar. The Himalaya and Karakoram ranges provide ideal terrains for Trekking, mountaineering, Skiing and river rafting. Biking, Paragliding and Camping can also be enjoyed at their best in the exotic destinations of this state.